Posted on May 2, 2017 by M.E. 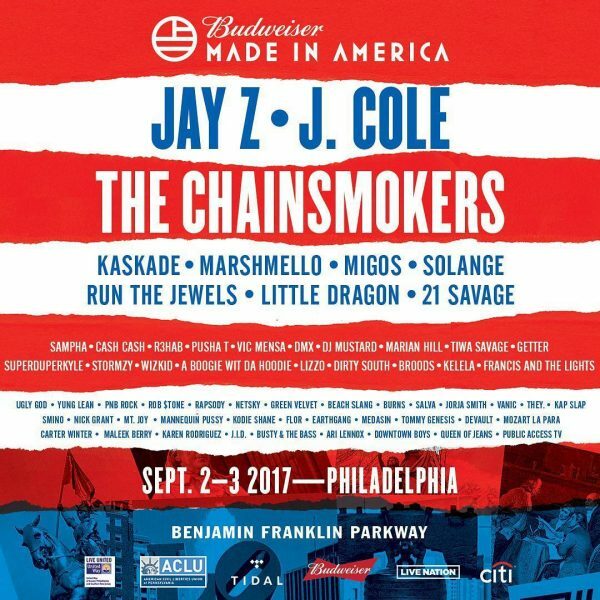 Jay Z has released the line up for the 2017 Made In America Festival taking place Labor Day weekend (September 2nd-3rd) at the Benjamin Franklin Parkway in Philadelphia. 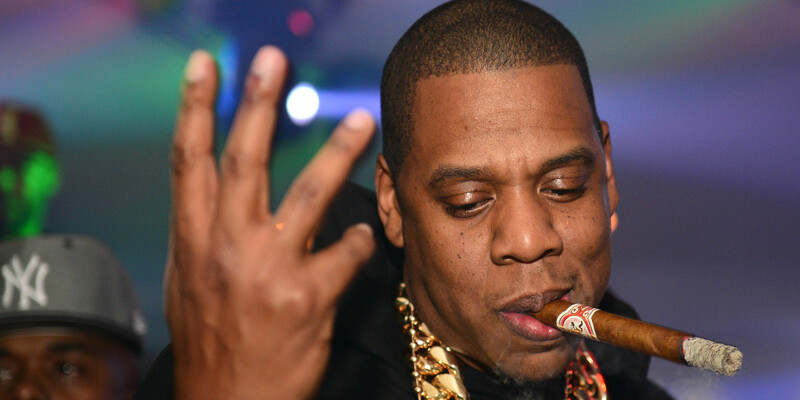 Jay will be headlining the festival this year along with Roc Nation artist J. Cole. 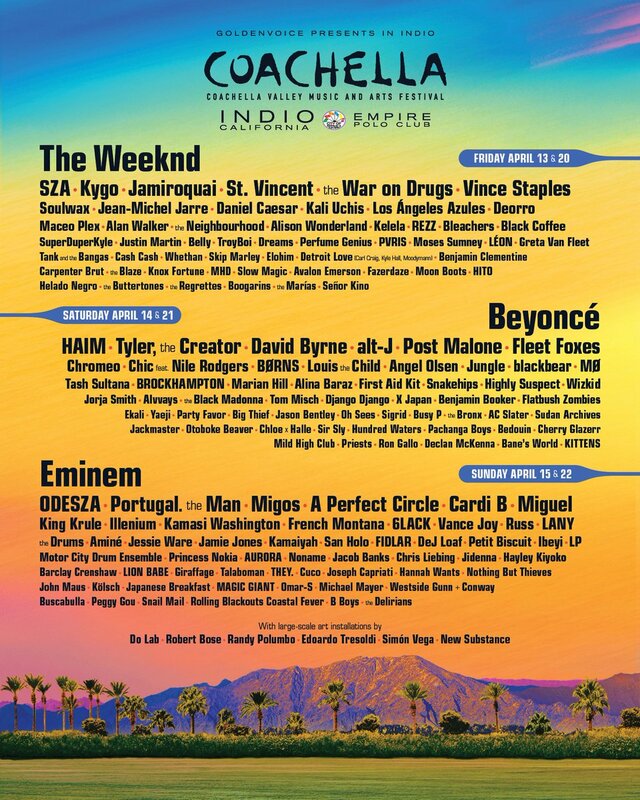 Solange, Migos, Tiwa Savage, The Chainsmokers, and Pusha T.